Next on our stop at Calvary last Saturday was the grave of Rev. William Bowdern. 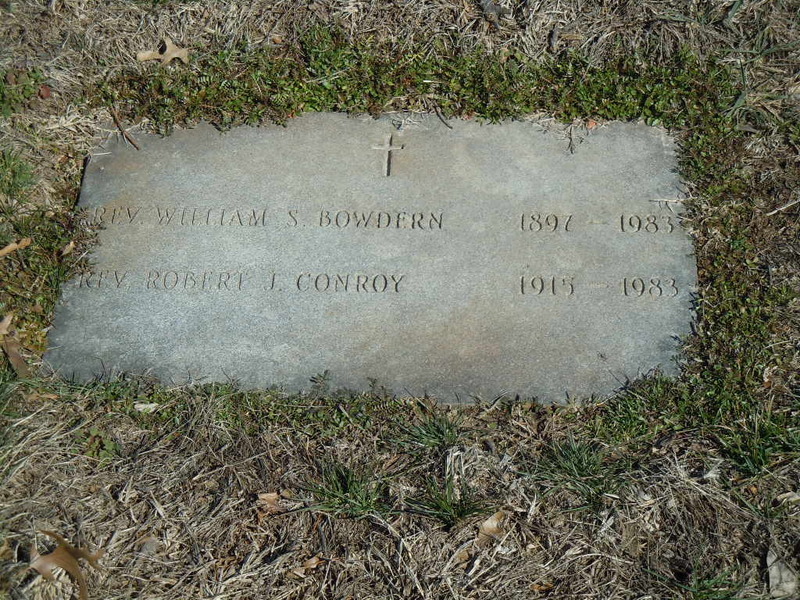 Bowdern was the chief exorcist in the 1949 exorcism of a young boy here in St. Louis, which was the inspiration for the 1971 book and 1973 movie The Exorcist. Bowdern’s grave is in an area dedicated to numerous priests, all sharing a marker with two or three others. I’ve done some research as to why they share a stone, but have not been able to find anything. If anyone out there knows, please feel free to share by comment.